In preparation for a trip to Hawaii I have been trying a new diet – eating only fresh, non-processed foods. Let me just say this is the first diet I have ever been on in my life and hopefully my last but there is one place that has been a real treat for me to frequent – sweetgreen (I can’t get my computer to make the backwards ‘e’ like they have in their logo but please take note of it). 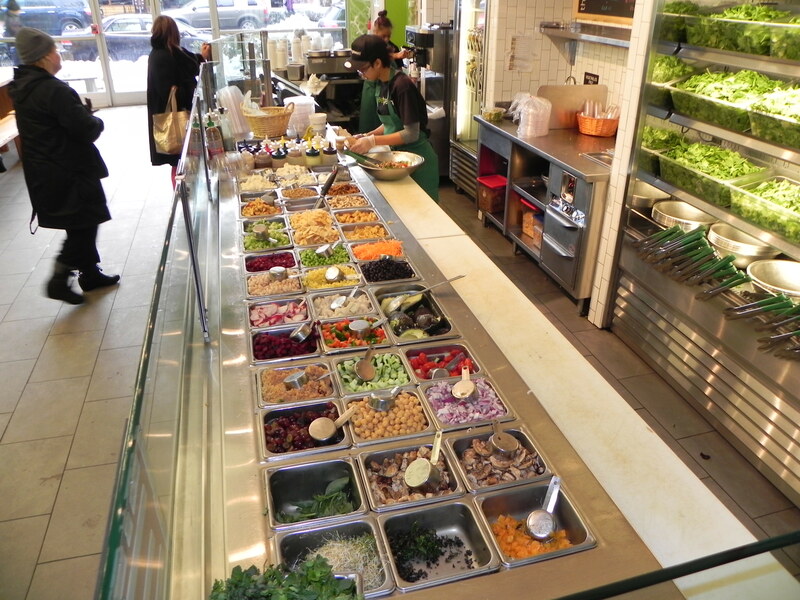 Sweetgreen specializes in salads and yogurt. Yep, that’s the whole menu. But the concept for the business is so much more. The company was started in 2007 by three Georgetown students who thought it would be great if there was a convenient place that they could eat everyday and feel good about it. 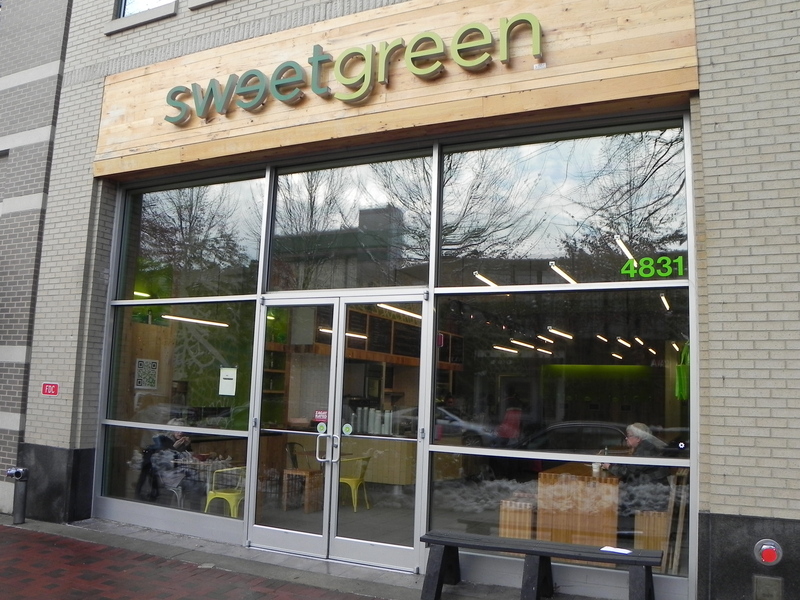 Alas, sweetgreen was born and just 4 shy years later they now have 8 locations in DC, VA, MD and PA.
Sustainability and all things green is their mantra. Their food is fresh from local farms (which they list on their website), completely organic and free of antibiotics. Their packaging (and I mean ALL of it) is 100% plant-based and compostable and their bags, menus, napkins and anything paper is 100% PCC. Their furniture was made using reclaimed or old bowling alley wood! A very cool idea. 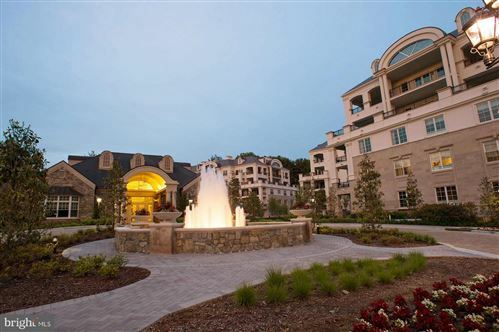 Everything about their build-out involved the use of environmentally sensitive technologies and materials. And as if that wasn’t enough, they even offer a sweetgreen university to their employees to teach them about sustainability and social responsibility. That’s really impressive. In addition to all that, their salads rock! They have 8 basic combinations of salads or you can make your own. They offer a nutrition calculator on-line so you can calculate the nutrition content of your custom creation. My favorite salad is the “curry gold.” I like to add coconut from the yogurt bar for a sweet touch! The shaved parmigiano reggiano in the caesar salad is also really amazing. This entry was posted on Saturday, February 12th, 2011 at 7:00 am and is filed under Food and Drink, Going Green in Bethesda, Restaurants. You can follow any responses to this entry through the RSS 2.0 feed. You can leave a response, or trackback from your own site.